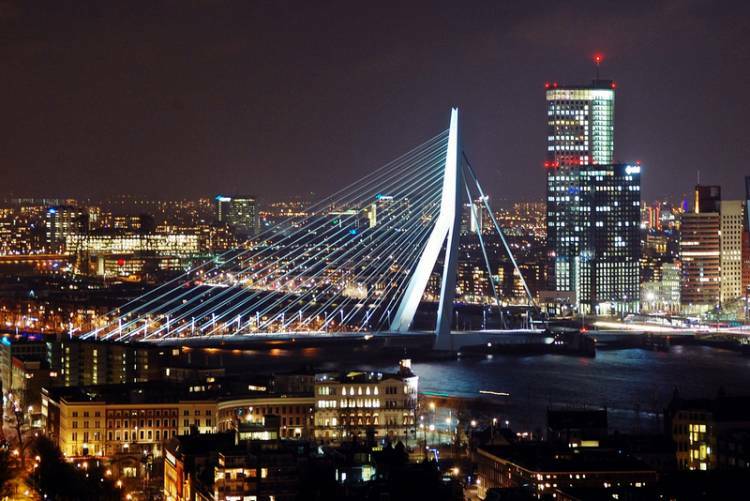 Later this month, Unilever is expected to confirm the move of its headquarters from London to Rotterdam. The £123bn consumer goods giant’s shift would be good news for business schools in the Netherlands. After all, the presence of multinational corporations in a city is the second most important factor in students’ decision of where to apply, according to education research firm Carrington Crisp. Whether or not shareholders approve the move of the maker of Dove soap and Ben & Jerry’s ice cream, Dutch business education appears to be on the up. The number of GMAT business school entrance tests taken by students in the Netherlands had doubled between 2013-17, to 1,647, indicating increased demand. In the QS Application Trends Report, which surveyed 16,560 prospective students globally, the Netherlands was rated as the eighth top study destination, up from 10th in 2014. The ease of access to Dutch study and work visas, healthy job prospects amid a relatively strong economy, and the major presence of corporate juggernauts such as Unilever, have contributed to the increased demand for Dutch MBA courses. Business schools across Europe are already seeing an uptick in applications, in part, because of the political unrest caused by Donald Trump’s election to the US presidency and the UK’s European Union exit. This has been true for the Erasmus University’s Rotterdam School of Management (RSM), where the number of applications has increased by 40 percent year-over-year, says Brandon Kirby, the school’s director for MBA marketing and admissions. “I am sure that the situations in traditional MBA destinations have caused a lot of people to rethink which country to do their MBA in,” he says. Global Dutch companies ING, Phillips, Friesland Compina, Akzo Nobel and perhaps soon Unilever are on the doorstep of the Rotterdam school, situated in the major port city of southern Holland. But Dutch corporations also play an important role in the student experience at Nyenrode Business Universiteit in Breukelen in the north west of the Netherlands, according to Willem van Donge, head of careers and personal development. Founded in 1946, Nyenrode is the only private research university in the country, and its founding fathers include Air France-KLM, Shell and Heineken. “Our motto is: ‘by business for business’, and as such we keep in close contact with the business community,” says van Donge. The business school’s “Meet the CEO” program is a good example: MBA students prepare and present business cases to senior executives of companies such as DSM and Microsoft, according to van Donge. Those who do not speak Dutch should not despair: Language has not held back Nyenrode’s highly international MBA cohort from securing jobs in the country, as around 90 percent of them worked in the Netherlands last year on graduation. The salary increase for all the school’s MBAs after three years is, on average, 53 percent. “Almost none of our full-time MBA students speak Dutch,” says van Donge. “Also, in day-to-day life it is easy enough to get by,” as nearly everyone in the Netherlands speaks English as a second language. But Hermina Kooyman, deputy director of global education at the Maastricht School of Management (MSM), strongly recommends students learn Dutch. “Being able to read and understand a bit of Dutch is important to be able to integrate into the company culture, and it also shows a willingness to adapt to society, which is appreciated by the Dutch,” she says. Internationals come to study in the Netherlands on an 18-month student visa. Many MBA programs last just 12 months. What’s more, graduates can use the “Orientation Year Permit” — which gives highly-skilled migrants 12 months to find a job, or start their own company in the country after completing their studies. The ease with which international students can live and work in the Netherlands has made the country a very attractive option, according to Kirby, at RSM, where 97 percent of the MBA class is international. Being in a country where English is so prominently spoken, “and having a great visa policy — it’s really an unbeatable combination for students looking to relocate to Europe,” he says. “It’s also about the quality of life once people make the move to the Netherlands. It’s a great place to live and make a living,” he adds. Indeed, the OECD club of mostly-rich nations ranked the Netherlands 11th globally for quality of life. The country was above average in income and wealth, jobs and earnings, housing, education and skills, environmental quality and healthcare. Also, the UN World Happiness Report 2018 put the Netherlands as the sixth happiest nation in the world. The country’s reputation for a high quality of life goes hand-in-hand with its reputation for sustainability. 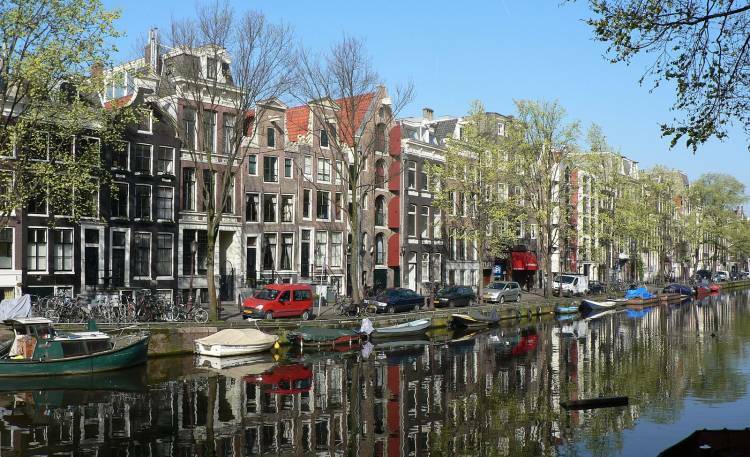 With a population of only 17 million people and an economy that is less than one-third of the size of France’s, the Netherlands punches above its weight on sustainability. Each year in the annual Dow Jones Sustainability Index, a handful of Dutch firms including Unilever and Philips, tend to be the frontrunners. This may be important to MBAs, who are increasingly concerned about their impact on society and the environment, sometimes even more so than their salary, according to a survey by Bain & Company, the consultancy firm. Dutch business schools play their part, too, with MSM this year taking part in the European Sustainability Week, organized by the UN to help promote its Sustainable Development Goals. The school’s one-year MBA program has an entire specialization in international business and sustainable development. It believes sustainability is “vital to bridging the gap between emerging and developed markets”, says Kooyman. While business schools in the Netherlands are clearly becoming more attractive, they are a way off the top schools in the world. Just one — RSM — is ranked by either the Financial Times, the Economist and Bloomberg Businessweek. And despite the globalization of Dutch business education, there has been a recent pushback against the influx of international students, which could negatively impact the country’s business schools. The Association of Universities in the Netherlands, Vsnu, has proposed curbing the growth in the number of foreign students in the coming years. At the heart of the problem is funding. The universities are largely funded in proportion to the number of students they enrol, but the total government budget for higher education has remained stagnant for years, meaning there is less money left per student. The total number of students at the fourteen Dutch universities has risen by 10 percent since 2013, from 250,000 to 275,000, with two thirds of the growth coming from foreign bachelor’s and master’s students. On average, a student at a university costs the school €7,000 each year. But Dutch business schools are against the proposals. MSM’s Kooyman says that, “we want to create diverse cohorts, with students coming from all over the world, from many different educational, social and religious backgrounds, where students learn from one another and open their minds to what’s really happening in the world”.